Buying or selling a home can be tricky. It’s always a balance between when you need to move and the conditions of the market. There’s not a so-called perfect time, but traditionally the peak season for availability blooms when everything else does: spring. The real estate market operates in a bell curve, with the peak topping off mid-April and slowing down early December. In April, there’s a high inventory of homes available, but you’ll also find high competition. If you’re looking to live in a specific neighborhood or want certain features in your home, spring offers the best opportunity to source these options. Start looking for your dream home early to identify your price range and figure out your moving timeline. Begin exploring your loan options at this point, too, as it’s always better to know where you stand when you’re heading into a competitive market. Sellers often take the offer of someone who’s funded over a higher price due to the convenience factor. But be ready to see asking prices that won’t budge in spring. Sellers may reject lowball offers or offers that come with specific contingencies or requests due to the number of offers they receive. If spring isn’t the time for you, don’t worry. There can be some great gems that go on sale during winter. Just be mindful that it can be more difficult to spot potential problems if a home is blanketed in snow. Issues with the roof, air conditioning and landscaping may not be apparent. Additionally, it’s harder to switch schools and jobs mid-season, though you always have the holidays to sneak in a move. Now that you’ve done your research and found your perfect house, how are you going to make it your home? Be prepared. Know your max budget, know what tools you have in your back pocket — are you a great writer, have photos of adorable kids to show the owners, a personal story that attaches you to the home — and lastly have a timeline in which you’re willing to fight for the house. The ForSaleByOwner Home Buyer’s Checklist is a helpful tool for making sure you complete everything you need to before buying a home. As mentioned earlier, going into the buying process knowing the type of loan you’ll be getting and even becoming pre-qualified helps immensely come offer time. The easier it is for the seller, the easier it will be for you. A few other key tips: know the neighborhood, know the market and know how to recognize a well-priced property. Send your highest and best offer. Don’t ask for seller concessions. Normally, you can ask for closing fees, but if you really, really want the house, pay for them yourself. Let the seller know you’re flexible. For a cash-strapped seller, an offer with flexible terms can make all the difference. If you’re looking to sell your home, spring is anecdotally the best time to list, but you’ll need to decide in advance what you’re willing to accept and how long you’ll allow the home to sit on the market. Additionally, you’ll have to create a checklist for terms of what you can/will pay for or do before you officially mark your home sold. 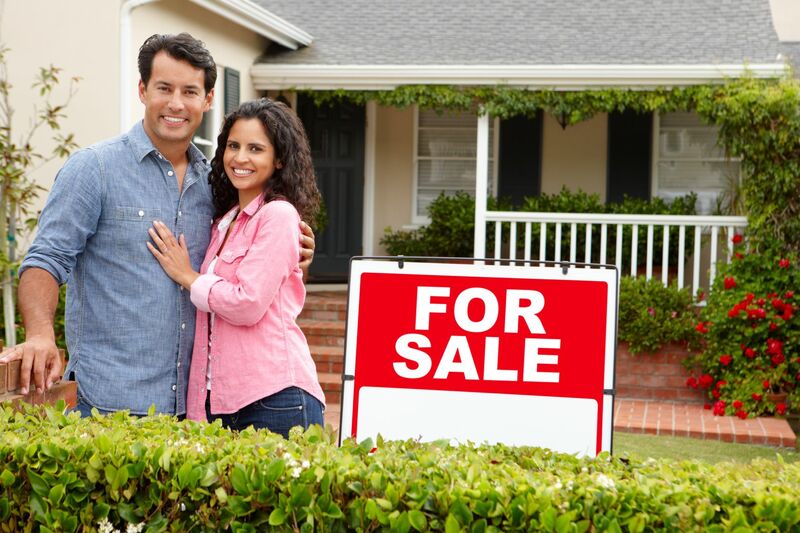 ForSaleByOwner has a handy Home Seller’s Checklist available as a resource to help you go through all the steps you need to sell your home.